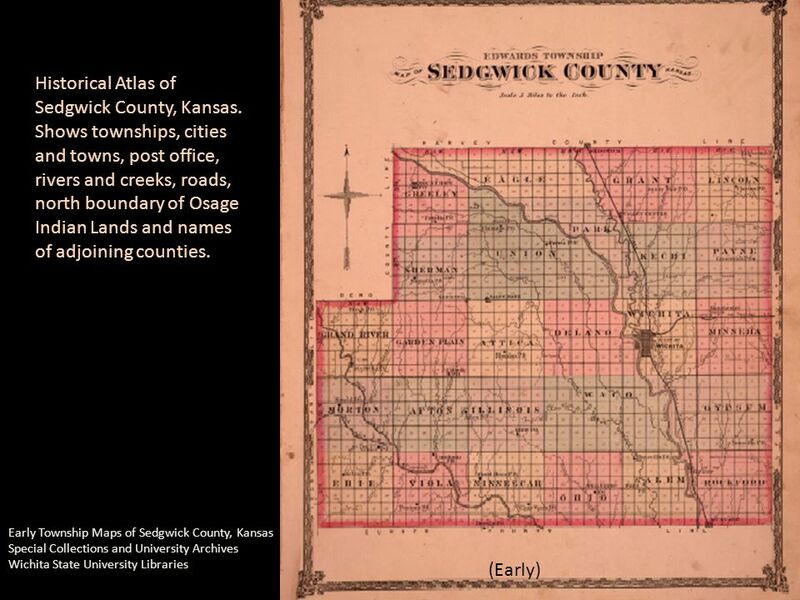 How to Read Township Maps (Early) Early Township Maps of Sedgwick County, Kansas Special Collections and University Archives, Wichita State University. 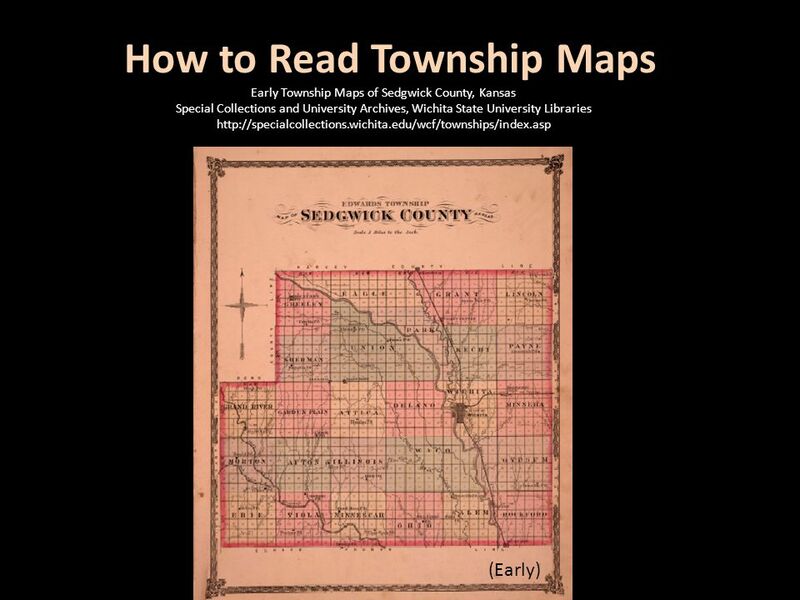 Download ppt "How to Read Township Maps (Early) Early Township Maps of Sedgwick County, Kansas Special Collections and University Archives, Wichita State University." 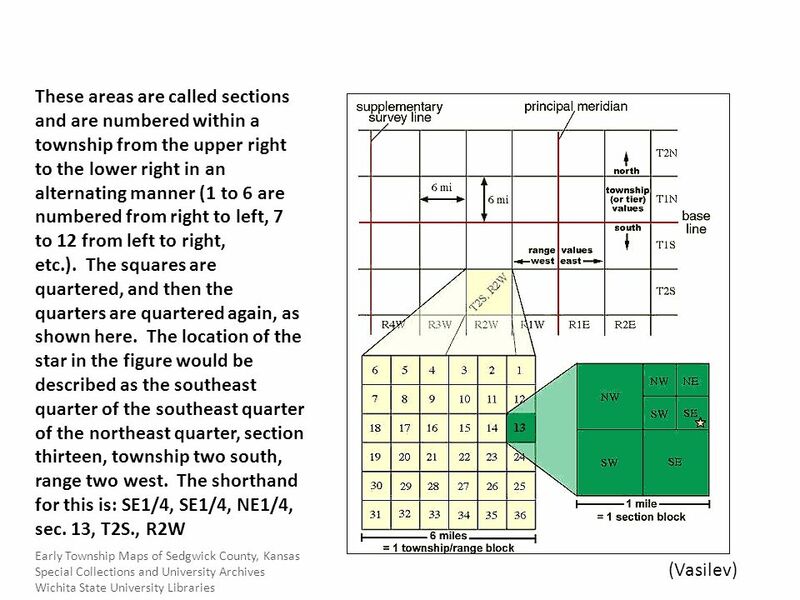 Surveying 101 ~ Plotting Property Descriptions ~ International Right of Way Association June 14, 2011 – Atlanta, Georgia Instructor - Gary R. Kent, L.S.  An appraiser has to have a basic, working knowledge of the legal descriptions, especially for the area where they work  If an appraisal requires. 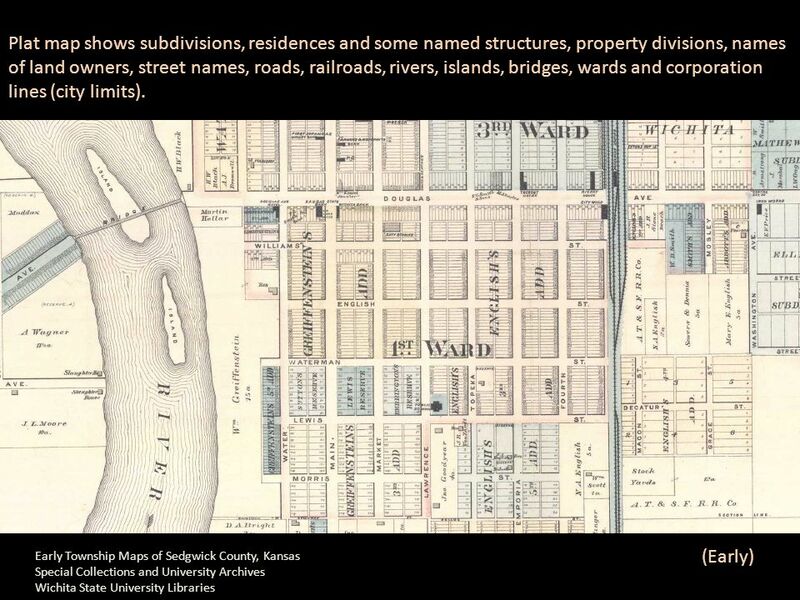 LEGAL DESCRIPTION u THE LEGAL DESCRIPTION IDENTIFIES PROPERTY IN SUCH TERMS THAT IT CANNOT BE CONFUSED WITH ANY OTHER PROPERTY. u A LEGAL DESCRIPTION IS. Plot Plans & Legal Descriptions. 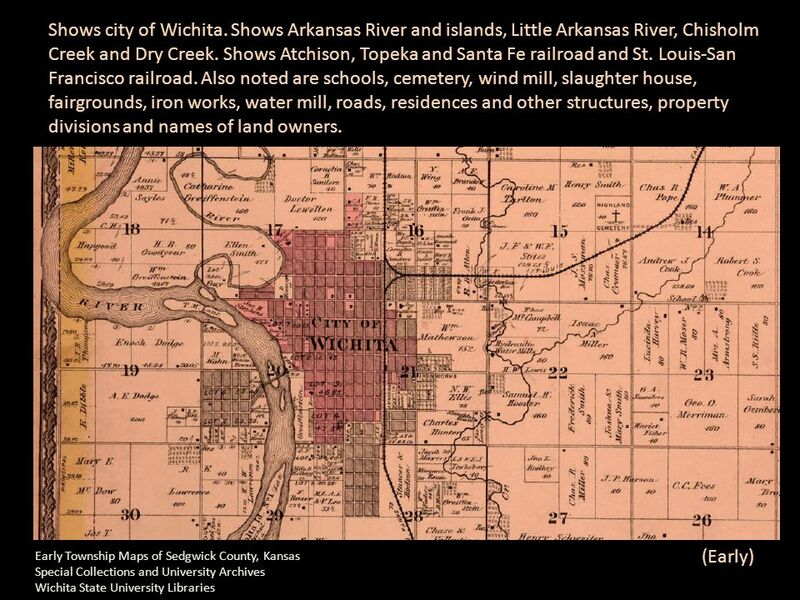 Site or Plot Plans  A plot or site is an area of land generally one lot or construction site in size  The term plot. 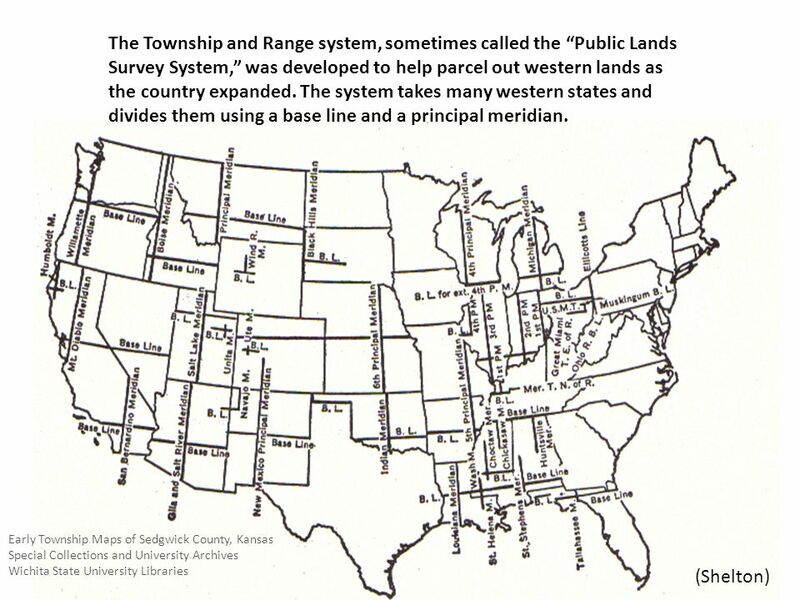 Land Organization in the USA. Common to the areas around Louisiana, long lots allowed access to waterways and/or roads by all landowners. 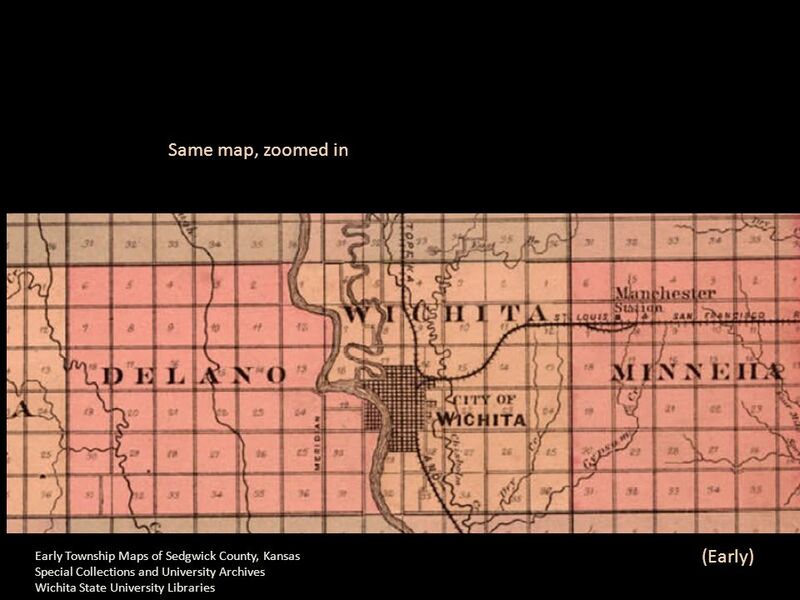 © 2009 by South-Western, Cengage Learning SAMIRLANDER Chapter 10. GLO Surveying 02/04/2015. 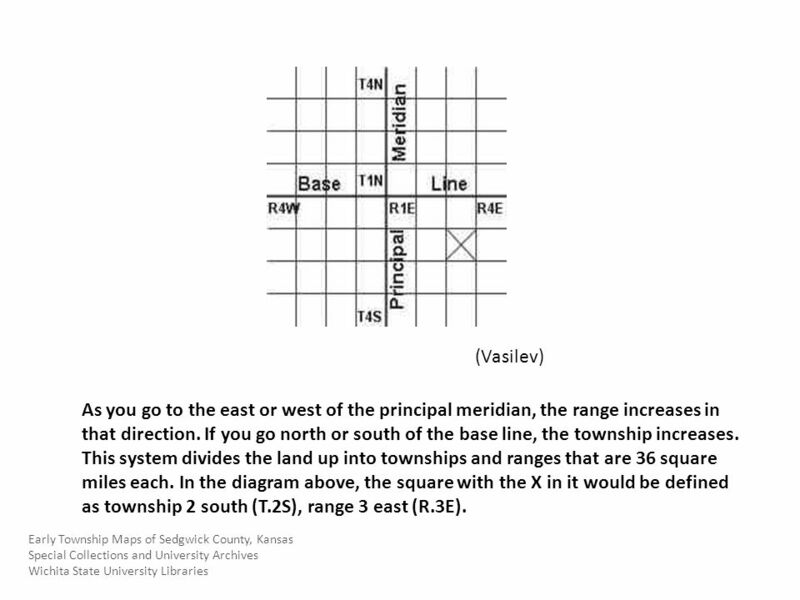 U.S. Rectangular System Structure Meridians & Baselines: 35 principal meridians and 32 baselines Meridian – line runs straight. 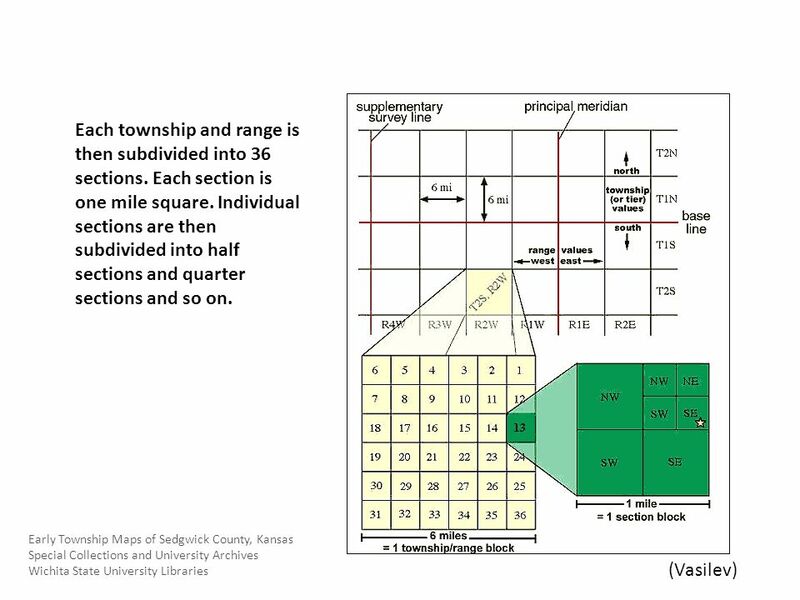 Introduction to Land Surveying and Basic Land Measurements Unit: Introduction to Land Surveying Lesson: Introduction to Land Surveying and Basic Land Measurements. Forging new generations of engineers. Legal Description. EDT 51-Floor Plan Design1 CHAPTER 12 Legal Descriptions and Site Plan Requirements Sacramento City College EDT 51 Kenneth Fitzpatrick, P.E. Map Notes. Compass Rose ► A symbol used to show directions.